How many colors are there in magic? Tap: Target creature becomes the color or colors of your choice until end of turn. While they are few in number there are some powerful Scarecrows out there. A bit surprised you're not running Scarecrone , Chameleon Colossus , Mirror Entity , and Taurean Mauler . There is also Scuttlemutt and Wild-Field Scarecrow that act as fixing. Oh and you can run Sakashima the Impostor to get a second copy of Reaper King in play. Finally there is Noxious Gearhulk . 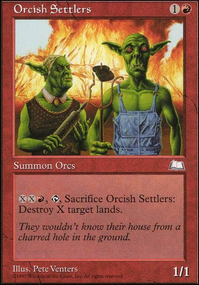 It would just be good utility and it would be another synergy card with Scarecrone. 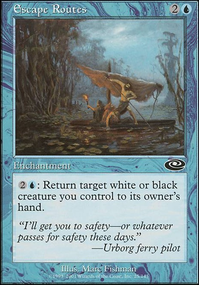 I can think of maybe three ways to help fix your mana, that don't involve splashing green (not you Scuttlemutt or Vesper Ghoul), the first is Lotus Bloom. The second is in a similar vein Pentad Prism, slightly less efficient though. The third is a 2 card combo Invisible Stalker + Dowsing Dagger Flip, obviously this would dilute your deck more than the first two options, but maybe? 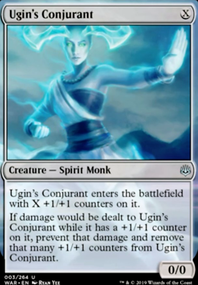 Fog effects will protect your Planeswalkers Darkness, Holy Day if you are worried about creature damage, Apostle's Blessing will work in most cases (sigh, Eldrazi), both would require you to keep 1 mana open though, then again your a control deck with counter-spells, so that shouldn't be an issue. Thats all I've got, hope this at least gives you some ideas, good luck with your brew. You have a couple unique opportunities here. Color conditions can be met by Reaper King alone, or Scuttlemutt in a pinch. For the Land condition, use Nylea's Presence on your Darksteel Citadel. It's cheap and its a cantrip as well. 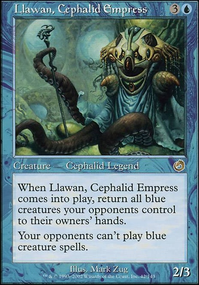 That also enables Landwalk abilities if you play it on your opponent, but that's a thought for a different day. If you were to have at least 1 of each basic land in your deck outside of what you need, than you could also play Wild-Field Scarecrow or something simple like Cultivate. 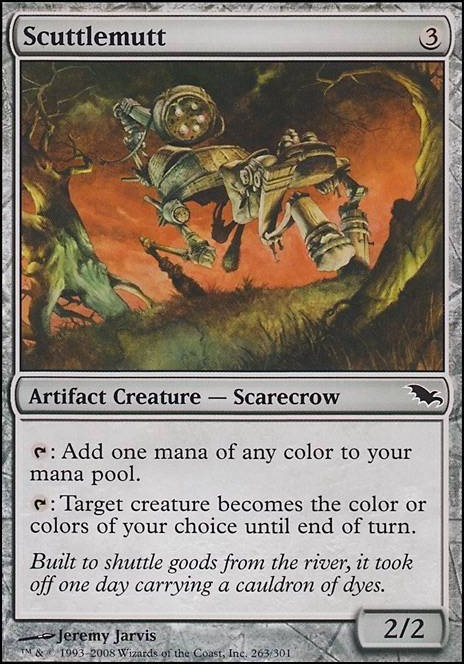 If you really wanted to be a dickhole, use Arcane Adaptation and play token generating spells like Raise the Alarm or Dragon Fodder which basically means pay , make two 2/2 "Scarecrow" tokens (remember the lord effect from the King) and blow up 2 permanents. An interesting deck, kind of reminds me of an Ashling the Pilgrim build a buddy of mine ran. That card could get really crazy really quickly. Perhaps it is one you could consider for the 99 or an alternate commander if you want to mix things up. I kind of respect a player who rolls Mono Red in commander, it isn't easy to get right, but when you do it is so much fun. 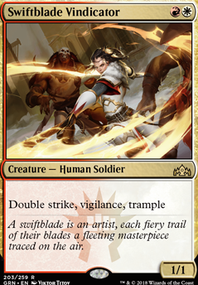 In fact my personal favorite deck is Mono Red see Its the Wrath of Starke. I'm also assuming you've already considered cards like Distorting Lens and Scuttlemutt to synergize with your commander? If not something to look into. I'm also surprised to not find a Chandra, Torch of Defiance in this list. She is just so flexible. A Star of Extinction might also not be too bad. Solid board clear that can deal with a pesky land and synergizes with Stuffy Doll. 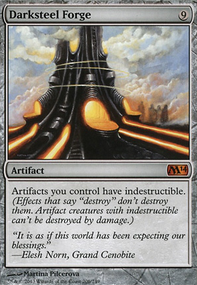 Volcanic Offering and Frenzied Fugue are also quite nice, but sadly neither is available in foil. Angel_Zero, Scuttlemutt, Springleaf Drum and Unclaimed Territory should be enough to get the WUR for Reaper King. Metallic Mimic and Adaptive Automaton could work! I think the others would raise my curve too high though, and that’d be a lot of Lord effects already. Play Ensoul Artifact over Tezzeret's Touch so the card doesn't get returned to its owner's hand. Celestial Purge is a good sideboard card in its own right, and with Painter's Servant (and Scuttlemutt) it's even better since you can blow up lands and other non-black/red permanents with it as well if you need to. It could replace Maelstrom Pulse with it in the sideboard, 4 Pulse is usually too many anyways. While we're talking about sideboards, the one Serum Visions is honestly a wasted slot. It doesn't directly improve any of your matchups, and having a slightly higher chance of drawing one won't change the game in your favor. Either move it into the main or cut it; another Thoughtseize would use that spot better. Also, Negate is better than Heroic Intervention, especially since you're a lot more heavily weighted towards blue. It can hit more things and it does everything Intervention does (beats sweepers and removal) so it's almost always going to be better; Intervention was meant to be a replacement Negate for green decks without access to blue, so for a blue deck to be playing it over Negate seems... inefficient? I can't really think of the word. You can also play Dispel for cheaper protection. Moving on, from what I can tell Call to the Kindred was meant to be an extra Reaper King tutor, but I think 4 copies is too many. It's a very slow card and can easily end up in a 2-for-1 without you being able to get any value out of it. You don't want to draw more than one copy of a slow card like that (generally 4 copies means you want to draw multiples each game), especially taking its cmc into account, so I suggest dropping to 3 or 2 copies. I know someone said this already, but with the number of artifacts you're playing (22, I think the above comment missed the Pentad Prisms and Chromatic Stars), Spire of Industry is pretty much a direct upgrade to Mana Confluence. Anyways, you've made a pretty neat deck. Good job.